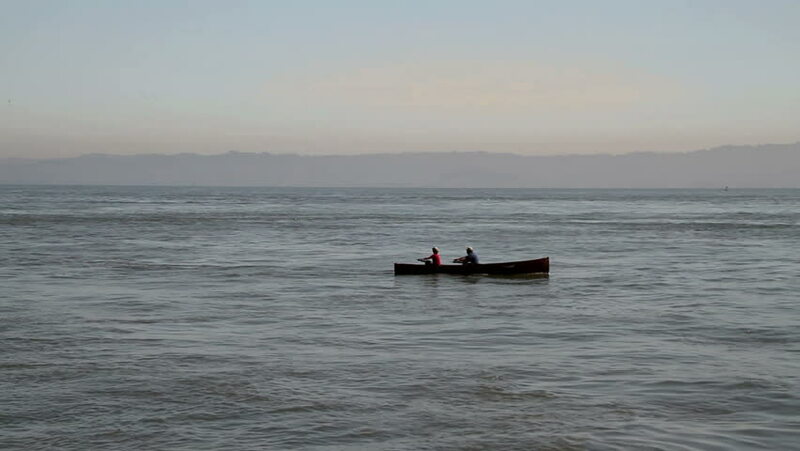 Two people are rowing in the San Francisco bay near Alcatraz Island. hd00:15High angle view, passenger and car Skip to the island of the sea resolution 4K. hd00:20fishing boat goes to sea at dawn. On the horizon are clouds that look like mountains.